CONSHOHOCKEN, PA--(Marketwire - October 21, 2010) - AlliedBarton Security Services, www.alliedbarton.com, the industry's premier provider of highly trained security personnel, announces the promotion of Michael Dunning to the new position of Director, Healthcare Quality Assurance. Dunning, who has been employed at AlliedBarton for the past five years, was previously Account Manager at the Atlanta Medical Center where he served as Director of Security and Emergency Management. "In this new role, Mike will oversee quality assurance initiatives, further develop operational resources and provide transition support for our healthcare clients," said Ken Bukowski, Vice President, Healthcare, AlliedBarton Security Services. "Our organization is devoted to providing the resources necessary to further support our healthcare clients and Mike's thorough understanding of the cultural sensitivities of a hospital setting makes him a tremendous asset to our healthcare team." Dunning currently serves on AlliedBarton's Healthcare Advisory Council and also holds the position of Vice Chair of the Georgia Chapter of the International Association for Healthcare Security and Safety. In addition to ten years of security industry experience, Dunning served in the U.S. Air Force where he held several positions, including Deputy Chief of Security Forces at NATO headquarters in Belgium and Chief Criminal Investigator for the U.S. Space Command. 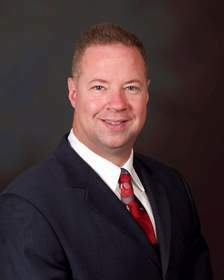 Dunning has a bachelor's in Criminal Psychology from the University of Maryland and has earned numerous certifications and awards, including the Incident Command Certification and WMD Technical Emergency Response Technical Certification from the Department of Homeland Security, FBI Hostage Negotiation Certification and Certified Healthcare Emergency Management Coordinator from the Medical College of Central Georgia. Dunning will be based in Atlanta. AlliedBarton Security Services is the industry's premier provider of highly trained, responsive security personnel. Client-focused security officers and managers located across the country are supported by national resources developed from over 50 years of security experience. More than 50,000 employees and 100 offices provide security for several thousand clients in many industries, including approximately 200 Fortune 500 companies. As the most honored security officer services company, AlliedBarton leads the industry in award-winning programs. AlliedBarton has been recognized by Training magazine, ASTD, Corporate University Xchange, Leadership Excellence and the American Business Awards, among others. For more information call 1-866-825-5433 or visit www.AlliedBarton.com.